Ho Ho Ho Santa's been very busy. Come in and see all the exciting games that we have in stock! 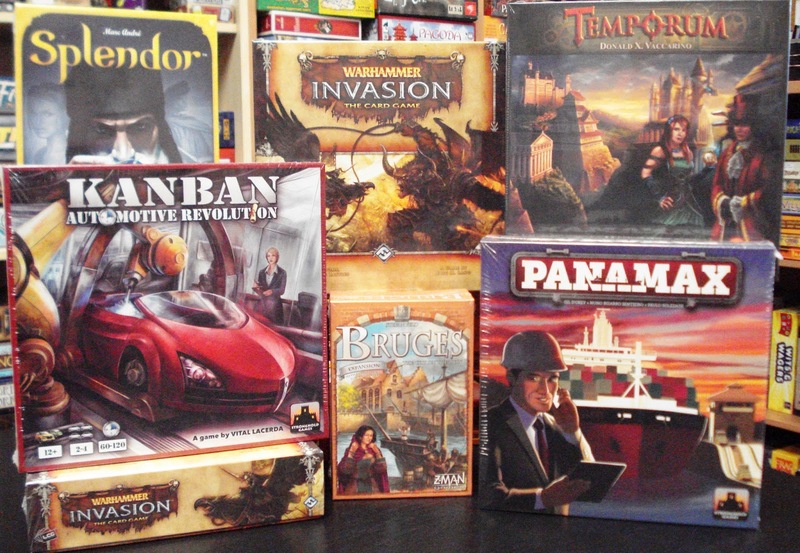 Just released and arriving this week is Panamax from Stronghold Games. After 100 years in service, the Panama Canal still is one of the most important and impressive engineering achievements in modern times. Built in 1914, it held a prominent role in the deployment of military vessels during WWI and in the conflicts that have followed. Nowadays commercial usage is the core business of the Channel; its economic impact is profound and has not only developed the region, but in fact helped define shipping throughout the world. 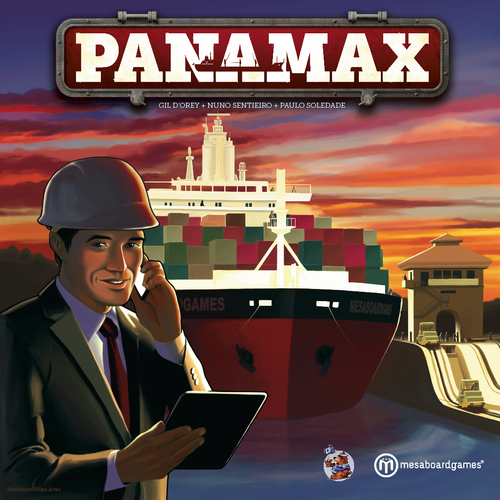 Panamax features several original mechanisms that blend together; an original dice (action) selection table, pickup-and-deliver along a single bi-directional route, a chain reaction movement system - "pushing" ships to make room throughout the Canal and a level of player interaction. 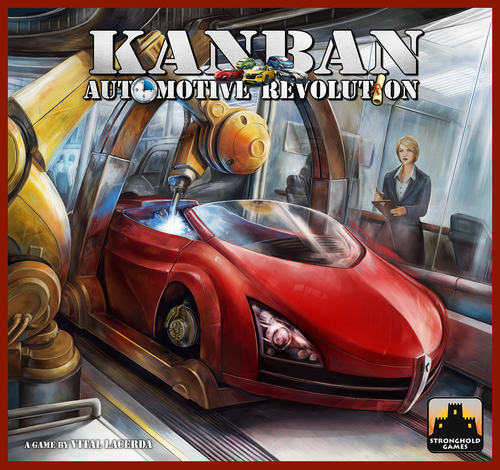 Another newly released game from Stronghold Games is Kanban: Automotive Revolution. Kanban is Japanese for "billboard" - a term for the visual cues that might be used in a lean, efficient assembly line in order to expedite and smooth workflow. In Kanban players are ambitious managers working in a factory focused on lean production trying to impress the board of directors in order to achieve as high a position as possible in the company and secure their careers. With promotions come advantages at the factory, such as more space to store precious materials and greater prestige to accelerate their ascent. Players will need to manage suppliers and supplies, improve automobile parts, innovate. Depending on the game play experience you want, you can choose whether to use the nice Sandra (factory manager) or the not-so-nice Sandra when you play. 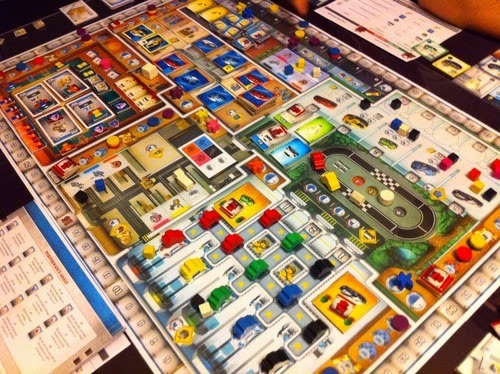 Kanban is pure eurogame, with resource and opportunity management, that puts you in the driver's seat of an entire production facility. 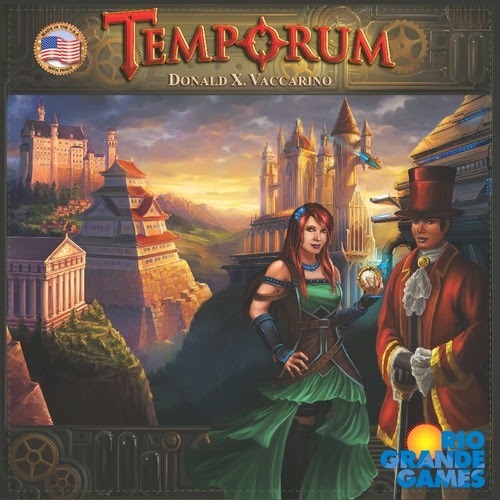 From game designer, Donald Vaccarino (Dominion) and Rio Grande Games comes Temporum. In some of the best versions of reality, the egyptians discover America, the industrial revolution happens early, and eventually robots take over. In others, the Renaissance produces a plutocracy, which leads to a utopia. Or perhaps to anarchy; it's all in the subtle details. As a time traveler, you've seenit all, an it all has its place. What's important is who's in control in the long run, when time travel is invented. In Temporum, the game board shows the possible paths history can take, and the actual path it currently takes. On your turn you can change history, travel through time, and visit a point in history. You draw cards, plays some of them for money and abilities, and score some of them to advance your power through history. Having more power in a time period gives you abilities, but your goal is to have all of your power in the last time period, the time you come from. 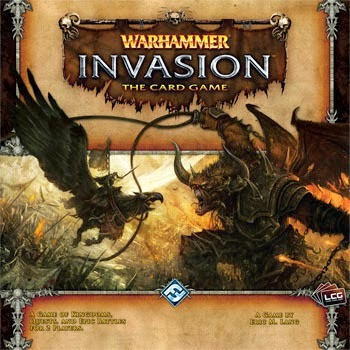 Another new game hitting the shelves is Warhammer Invasion LCG from Fantasy Flight. Warhammer Invasion is a two-player card game of intense warfare, clever kingdom management, and epic questing. Players must carefully allocate their resources as they seek to build their kingdom, complete quests, and attack the enemy's capital. 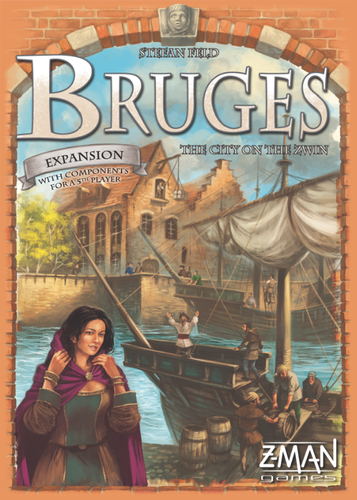 For fans of the board game Bruges, comes The City On The Zwin expansion from Z-Man Games. The year is 1134 and a magnificent storm from the Flemish coast surges through the city of Bruges. Yet, from this disaster a channel was created that connected Bruges to the North Sea, making it one of the most powerful commercial cities in history. Ships from the world over would dock in Bruges, giving rise to new trading opportunities for the city’s most resourceful citizens. Now, you too can take advantage of these opportunities as you make friends with new travelers, and make your fortune on the stock market. With this expansion, it is now possible to play with 5 players! A new board and the addition of boats will add new strategy options for players to explore. 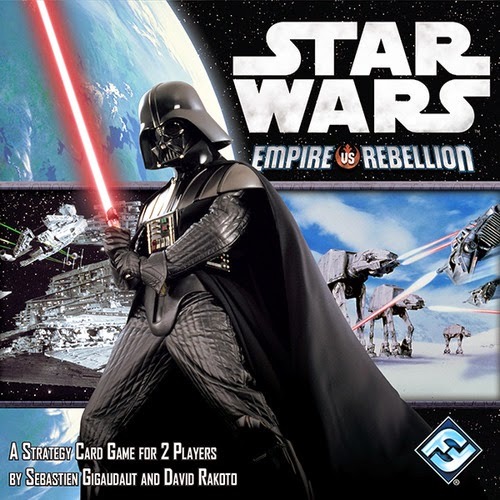 In from Fantasy Flight is Star Wars Empire vs Rebellion, a 2-player strategy card game. Players control the starships and operative of the Galactic Civel War. Recruiting heroes such as Luke Skywalker, Leia Organa, and Darth Vader to their cause, each side must choose their strategy and outwit their opponent at pivotal moments of the war. The fate of the galaxy rests in your hands! The board game 7 Wonders keeps getting more and more interesting. Adding to the fun is this newly released expansion, Babel. Babel is made up of 2 expansion, which may be played together or separately. 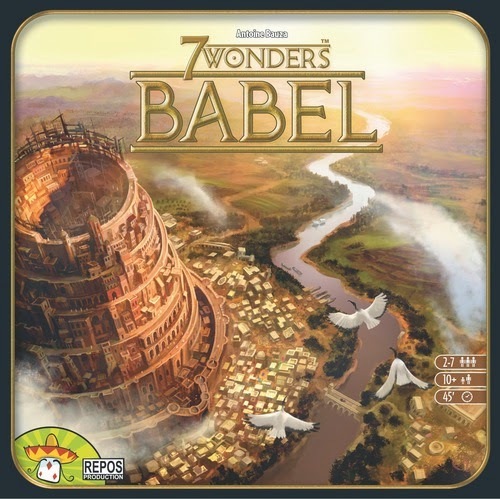 In the second half of 7 Wonders: Babel, one of five law cards is randomly revealed at the start of each age, and a number of tokens are placed on it, based on the number of players. This card imposes a tax on players who want to play cards of a certain color. When a player pays this tax, he takes one of the tokens from this law card. At the end of the age, if all of the tokens have been removed, then players receive a bonus (which is depicted on the card) for each token they have; if tokens remain on the card, then each player without a token is penalized. 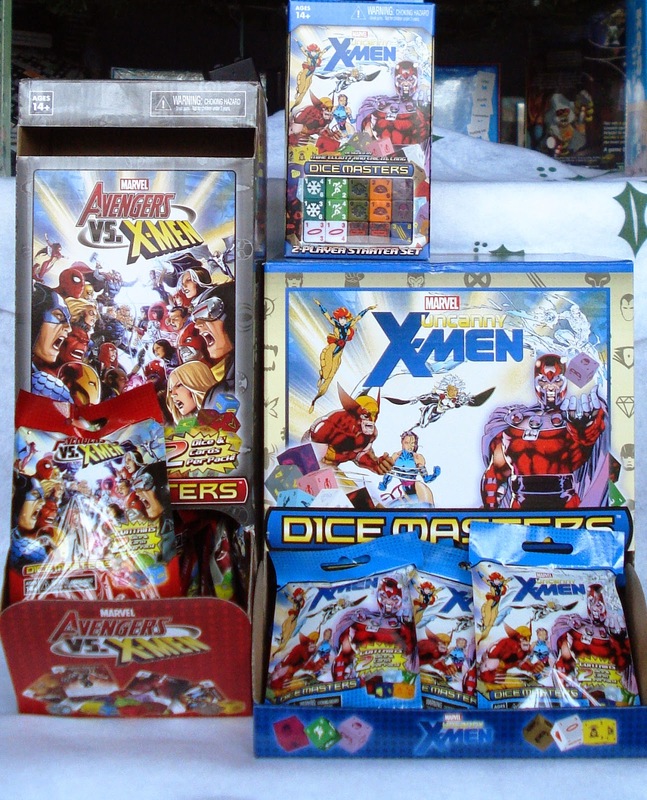 Marvel Dice Master X-Men expansion packs make great stocking stuffers. We have both the red Avengers vs X-Men and the blue Uncanny X-Men mini expansion packs.